Since we are producing plank flooring, our goal is to include desirable defects that show off the wood’s variety of natural character. We have created custom grades to achieve this. 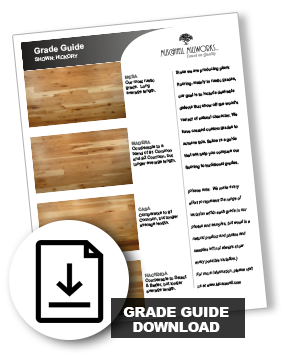 Our guide will help you compare our flooring to traditional grades. Similar to Select & Btr. Our highest grade. Has less extreme variations in color than Casa grade. It is almost free from knots, with only occasional small pin knots (up to 3/16” in diameter) allowed in most species. Lengths of planks vary from 1’ to 10’, with an average of about 3.5′ to 5’, depending on the species. This creates a floor with a refined look and more consistent color. Similar to #1Common. Casa will contain color variation, and knots up to 1-1/2” in diameter, along with other occasional character marks, but no edge defect. Small open holes, up to 1/4” in diameter, are also allowed but are rare. 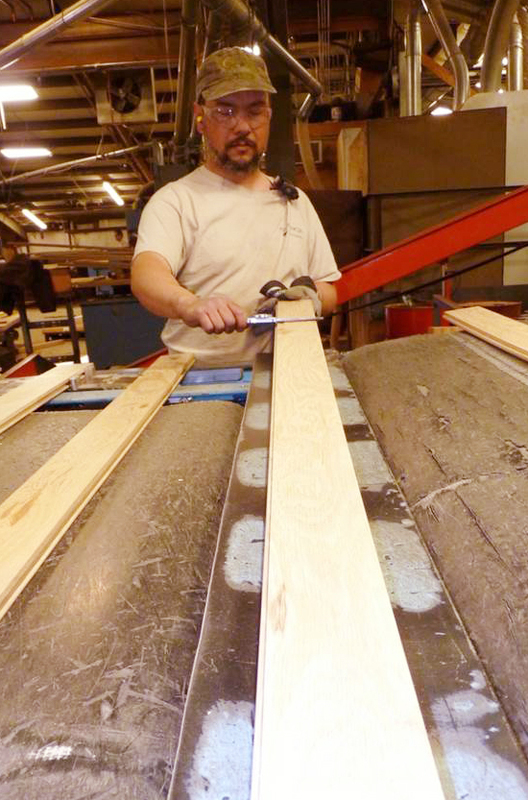 Lengths of planks vary from 1’ to 10’, with a 5’ average length. Casa grade results in a floor with rich grain pattern, and sound defect requiring very little fill. Blend of Casa & Mesa (similar to #1 Common & #2 Common mix) . Will contain a range of color, knots (both sound and open) up to 2” in diameter, holes up to 3/4” in diameter, some cracks and pith, unlimited sapwood along with other occasional character marks. We do allow edge defect in this grade but some clear boards are also included. Lengths of planks vary from 1’ to 10’, with an average of 5’ +. This grade results in a floor with an overall rustic appearance, but with some clear boards and very nice length. Similar to #2 Common, but much longer length. Will contain color variation, knots up to 2” in diameter, including open knots, holes up to ¾” in diameter, cracks which don’t compromise the integrity of the flooring, along with other character marks. Edge defect is allowed. Lengths of planks vary from 1’-10’ with an average of 5’. Mesa grade results in a floor with lots of rustic character and contrast.